Hello everybody and welcome to the first ever issue 10 of the Spirit Spotlight, the write up of the best spirits you can find at The Dial. This time we are taking a look at rum, the silent star that is sneaking up behind the gin craze to take the spotlight soon enough. In particular, we are looking at Plantations Pineapple Rum. Created as a tribute to Reverend Stiggins, a Charles Dickens’ character in the Pickwick Papers, who preached about temperance (abstinence from alchol) in between sips of pineapple rum. Yes you would be forgiven to think that a pineapple rum is the hot new flavour from a group of inventive hipsters, but it actually goes back to the 1700s in the Caribbean islands, where distillers would soak pineapple in a barrel of rum to give it more sweetness. 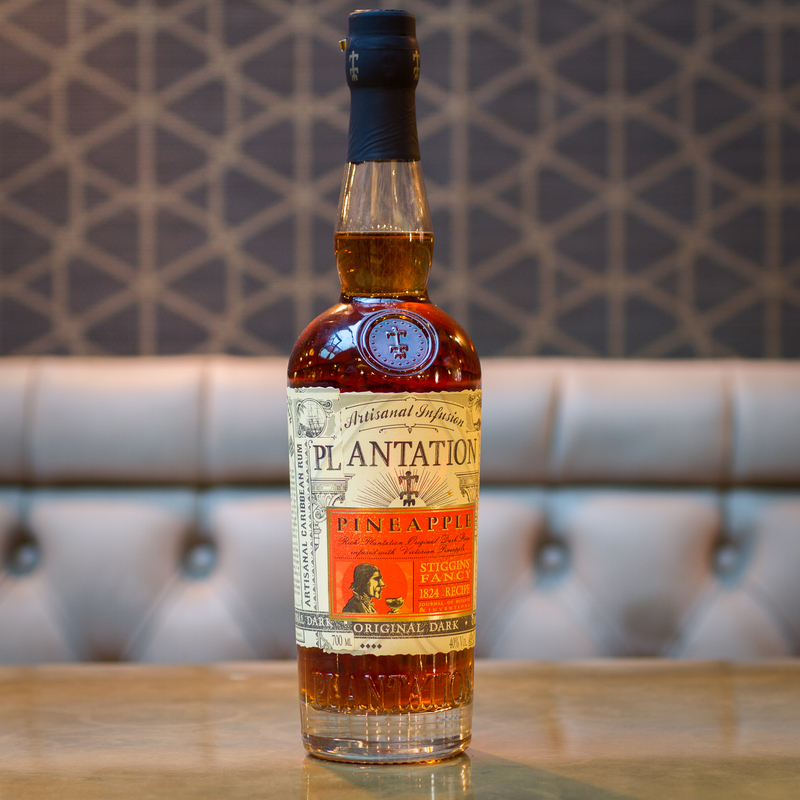 Plantations Rum was originally created as a rum between friends, intended to be served at private parties as something to show off, it was a one off, but its popularity grew so much it was decided to take it into production. It is made with a lot of love, firstly, the pineapples are peeled by hand and the rinds are distilled with Plantations three stars rum. Separately, the fruit of the pineapple is distilled with Plantations original Dark rum, for three whole months! Only when they are both tasty enough do they meet and are mixed together and left to rest in a cask for a further three months. The result is a great tasting rum with a hint of pineapple, not an offensive pineapple esqu rum. To serve, try it on the rocks with a splash of pineapple juice if you have a sweet tooth. Or try it with a daiquiri for a nice twist, the pineapple notes creep up on your palette nicely. Optional step will be to add a dash of pineapple juice if your like your drinks a bit sweeter. Shake it with your best shake face! Strain into a coup glass if you have one and add some crushed ice if you can, it keeps it nice and cold. That’s it for Spirit Spotlight this month, if there are any spirits you would like us to take a closer look at, let us know in house or on any of our social media sites. Until next time, see you at the bar.